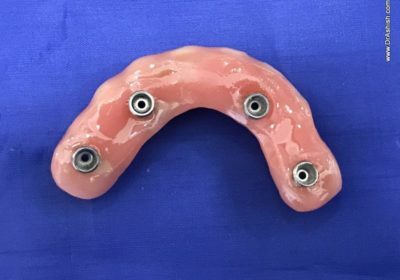 How many times have you been told that due to lack of bone you cannot have fixed teeth with implants in the posterior region in the upper jaw? 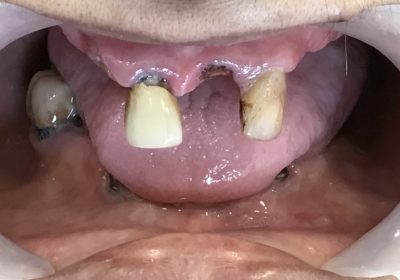 The other option was grinding adjacent teeth to fix a bridge. 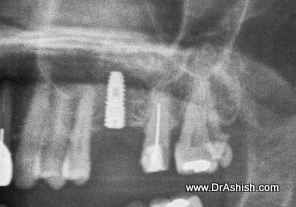 Here the patient reported with missing tooth namely the first molar. 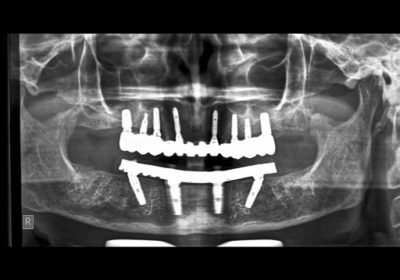 After careful evaluation with a scan [CBCT], it was found that there was only 3 mm Bone available vertically to place an Implant. 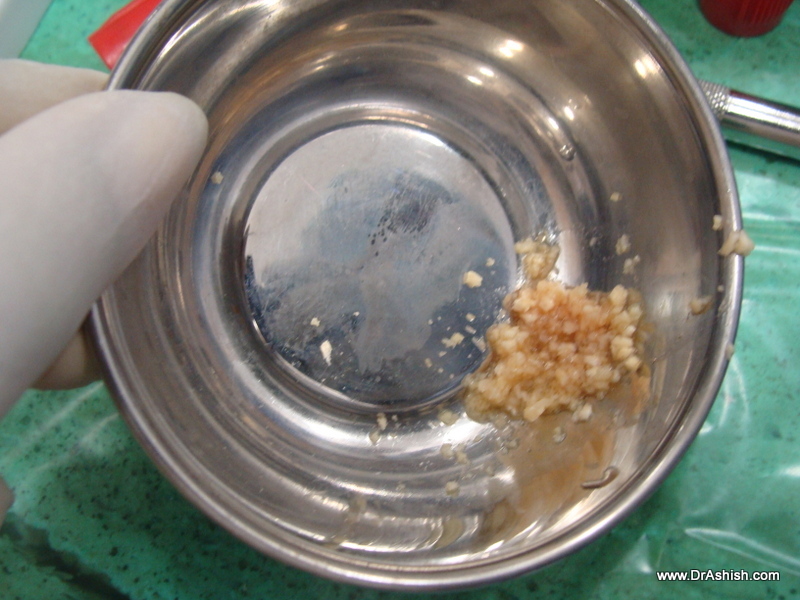 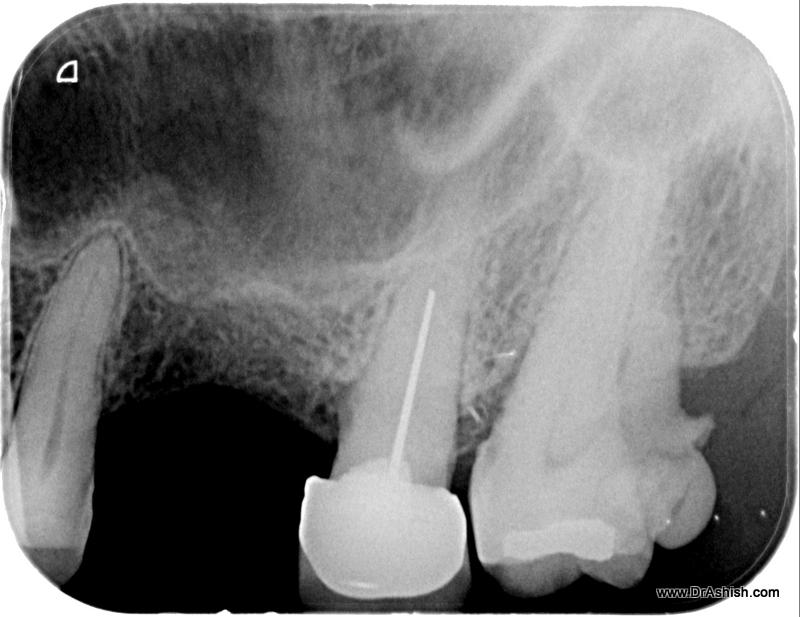 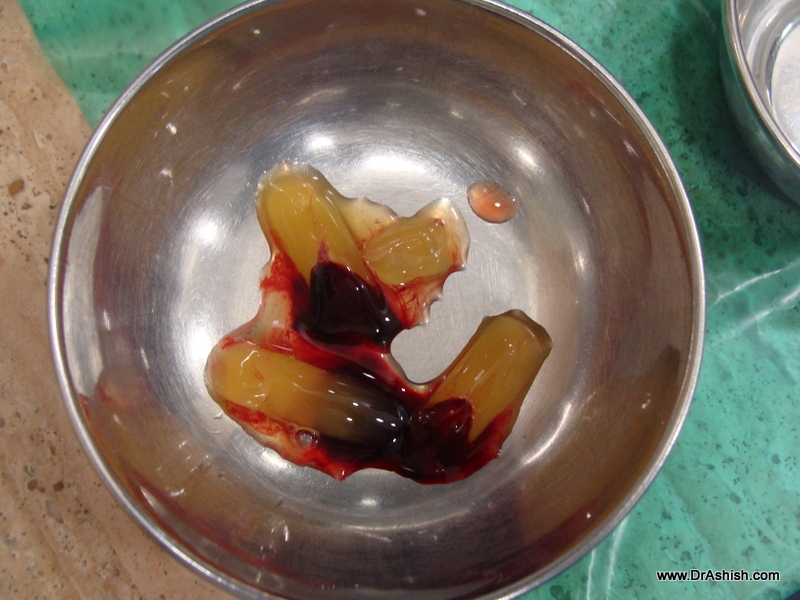 The adjacent tooth was having poor prognosis due to previously done poor Root Canal with Silver points. 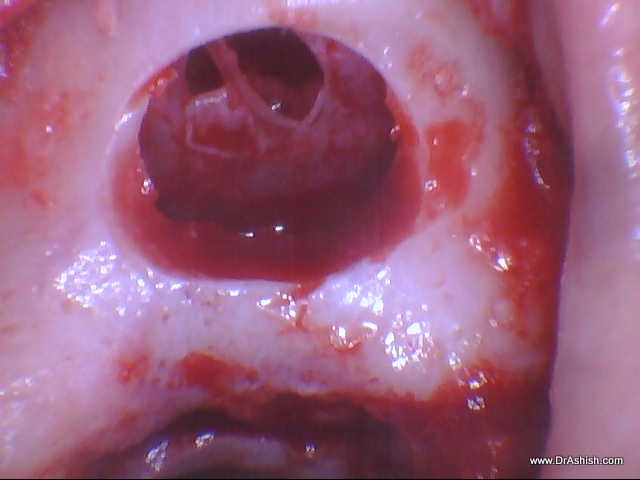 Thus it was decided to do a lateral window DIRECT SINUS LIFT. 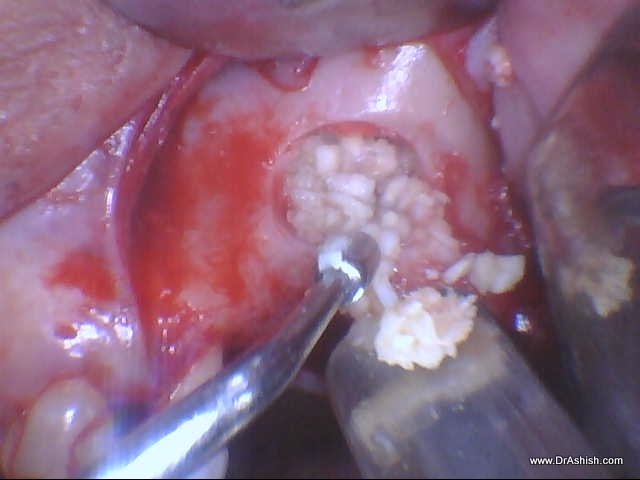 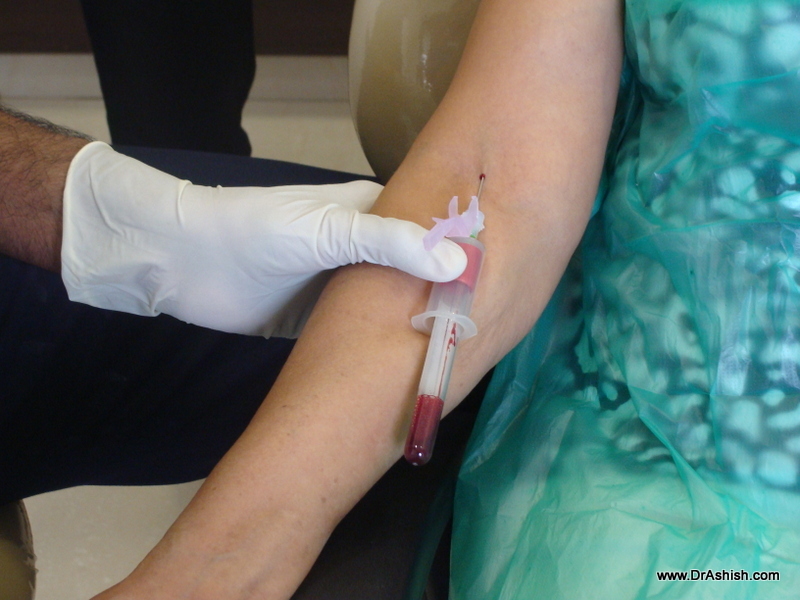 Membrane perforations were sealed with membrane and PRGF. 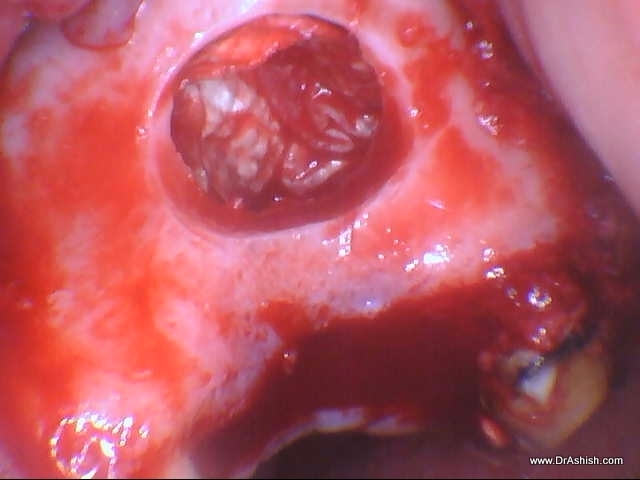 PRF along with Bone graft[Alloplast].